Set and forget while consistently dosing ALL trace elements. There is a reason why industry professionals choose MRC® Calcium Reactors and those same reasons should also be yours. We’ve set and maintained the standard since 2000 and we continue to innovate on top of that already solid foundation. No chemicals to store, nothing to expire, precipitate, settle, or evaporate. 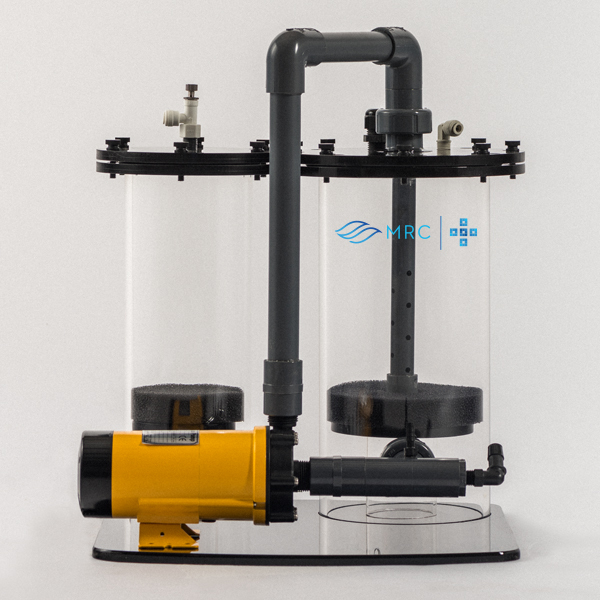 MRC® Calcium Reactors dose from the EXACT same materials that your corals are made of in a consistent and accurate way that will not only promote stability, but also success. Letting your gear do all the work is fun; dosing supplements, not so much. Media can easily last up to a year or more when used in an MRC® Calcium Reactor. This allows you to concentrate on what really matter to the most, not expensive and messy chemicals. When we set out to design our Calcium Reactors we made sure you’d have a path to upgrade upon. 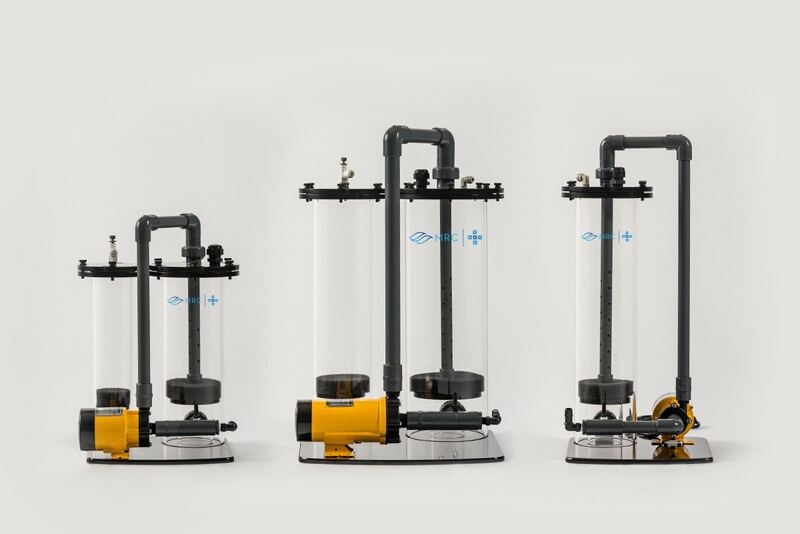 When your happy, healthy, vibrant corals outgrow your current system we will be able to assist you in finding the right expansion to use the very same equipment you started with. MRC® Calcium Reactors dose the exact same building blocks that your corals are made of; not “kinda”, the same. This is why MRC® Calcium Reactors have been the most stable way to provide for your corals’ elemental demands. 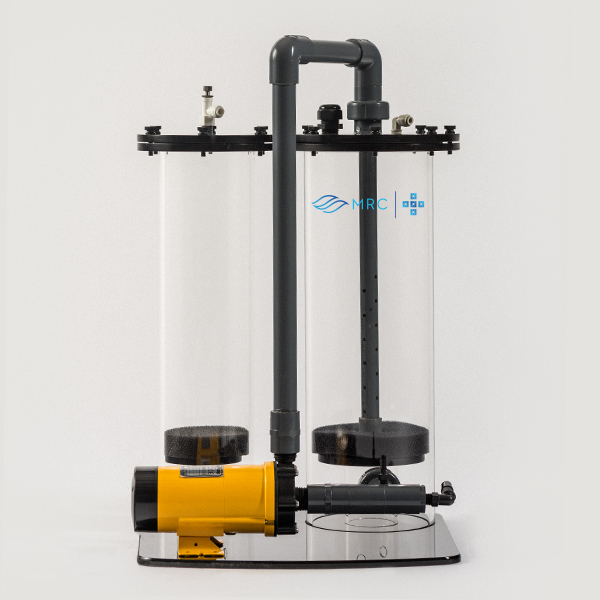 MRC® Calcium Reactors can run up to a year without being serviced, providing your corals what they need. Why waste time dosing when you can spend that time enjoying your corals? 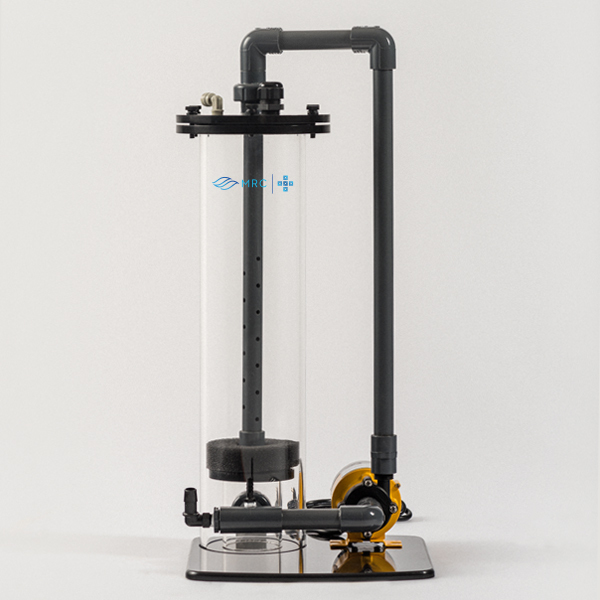 The most efficient and advanced Calcium Reactor on the market. Easy to operate for optimal results. Includes the revolutionary MRC® spray bar design that mixes the CO2 with the media in a more uniform pattern. 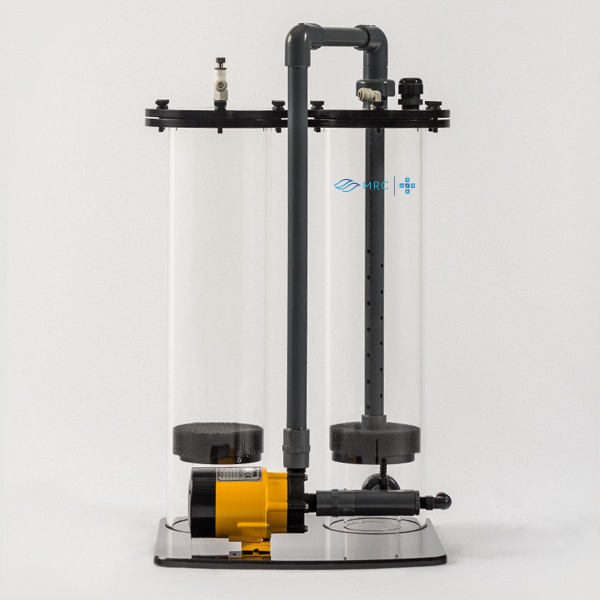 The spray bar allows a full concentration of CO2 to penetrate the entire chamber of media allowing for low CO2 consumption and maximum output. 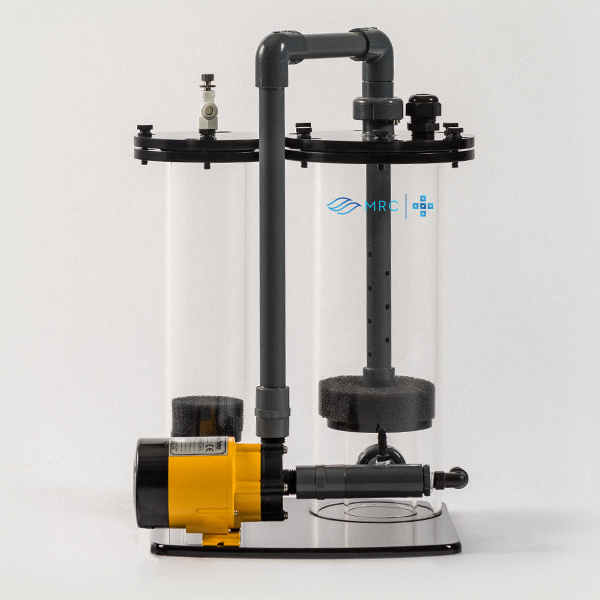 Purchase your +Series Calcium Reactor from an authorized MRC® retailer today.